Together with the Scrum Masters, Release Train Engineers and Product Owners, your teams build the digital future of NN. NN Belgium is looking for a passionate Team Leader (M/F) to motivate his/her team not only to achieve team goals but also to guarantee maximum quality and to reach agreed targets. As an experienced coach, you will emphasize continuous improvement by motivating, developing and following up. Thanks to your enthusiasm, good communication, social skills and open mind, you will be able to pass on the innovative spirit of NN Belgium to your team. As a Team Leader, you will be responsible of 25 to 40 IT’ers divided up into 2 to 5 scrum teams. Together with the Scrum Masters, Release Train Engineers and Product Owners, your teams build the digital future of NN. As a connecting link, they not only use new technology, but they mainly change the way the organization works and can deal with its customers. manage the team budget and ensure the follow-up of targets, benefits and cost reductions. strong communication skills; you communicate clearly and diplomatically, in different situations, with different stakeholders. dynamic and eager to learn. 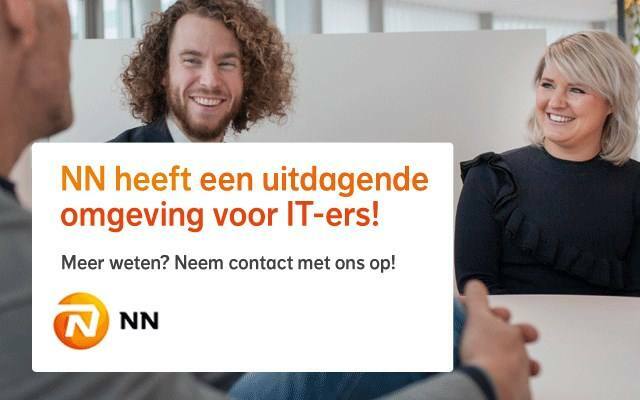 Please send your application for Team Leader IT at NN Insurance Belgium in Brussel including your CV via our website.